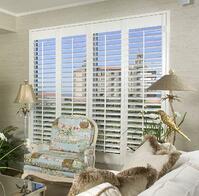 Save $300 on 150 square feet or more of Premium Plantation Shutters installed by Naples Shutter. Present this ad at time of estimate. Cannot be combined with other offers. 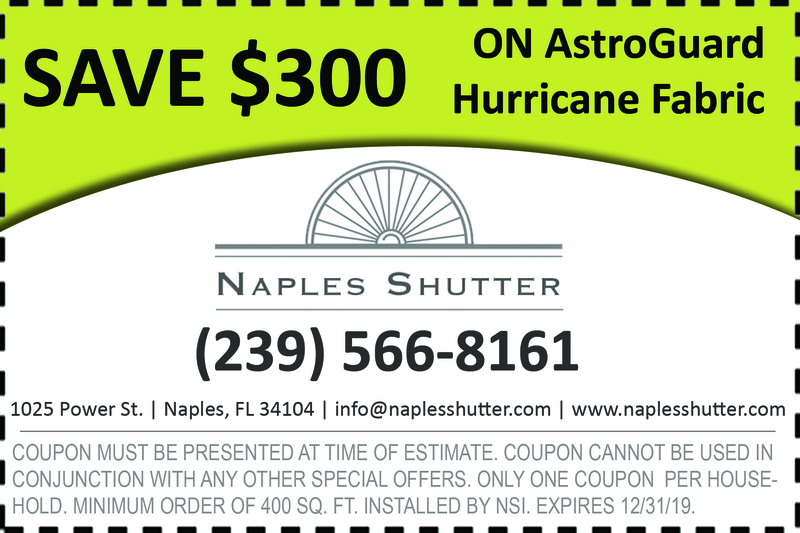 Save $300 on 400 square feet or more of AstroGuard Hurricane Fabric installed by Naples Shutter. Present this ad at time of estimate. Cannot be combined with other offers. 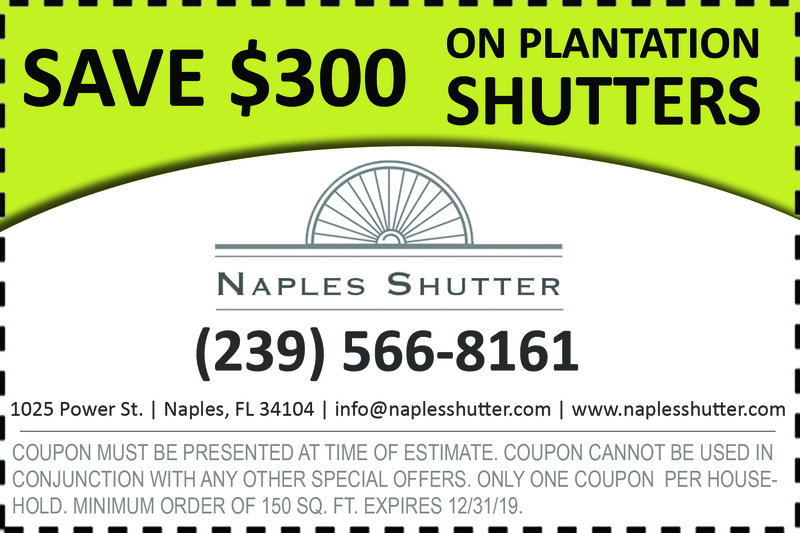 Refer a friend to Naples Shutter. When they place their order, they receive a $50.00 courtesy discount and you receive a $50.00 Visa® Gift Card. New clients only. Referring party must be a client of Naples Shutter. Courtesy discount will be given on estimate. Gift Card will be mailed upon completion of installation of new client’s order and collection of C.O.D. balance. Cannot be combined with any other offer. Click here for Referral Card.